Pro-Assad media outlets shared a video of children being painted with red blood claiming that they were Syrian opposition factions in eastern Ghouta trying to fake child injuries. However, the video turned out to be from an art workshop which creates this health exercise annually in Gaza. The goal of the workshop is to recreate child injuries sustained in warzones so that doctors can get familiar with them and learn how to care for injured children, the owner of the workshop, Abd al-Baset al-Loulou, said. He added that clips from his workshop’s video were edited together and shared by pro-Assad media outlets as coming from eastern Ghouta. 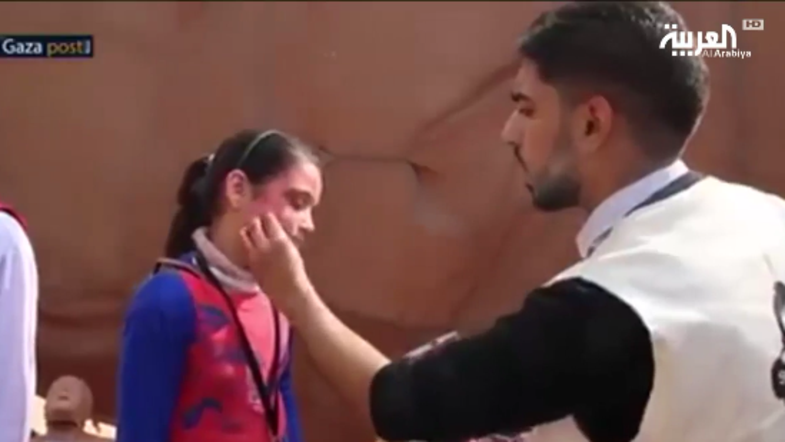 Al-Loulou said that he was then forced to release a statement clarifying that the video was from his annual workshop centered around using special effects makeup to recreate child injuries. “It’s sad that the Syrian regime used art for political reasons,” al-Loulou said, adding that doctors and health care professionals worldwide use special effects makeup artists to train their staff. Russian media has also attempted to show forged victories by Russian soldiers in Syria by using fictional images and scenes. According to the Washington Post, Russian media used scenes from a videogame called Arma purportedly showing Syrian war footage, and a battle that took the life of Senior Lieutenant Alexander Prokhorenko.